Hi ladies- I'm in my tww after my first follistim cycle. Femara didn't work. We did timed BD this cycle, but if it comes to nothing we're doing IUI next with follistim. First follistim cycle: BFP 12dpt/10dpo!! I have had great success with follistim. In fact, all of my successes have been on follistim. I had IUI with follistim and had twins. This time we did IVF with follistim and are pregnant with a singleton. GL to you. 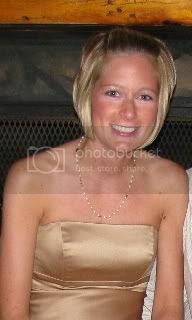 Carrie Me 36 DH 34 DS#1 6 ; DS#2&3 born 3/11/09. Lost DS#3 to SIDS 10/14/09 - I miss my angel every day. Anyone else? And if you did, how many follistim cycles until you got BFP? I just stimmed with Follistim but also did IVF, so not sure my input would be very helpful. I contribute everything involved in my IVF cycle to it's success. GOod luck! Surprise natural BFP for #2: 8/3/14!! #2 is a GIRL arriving 4/2/15!! My BFP cycle I did a combo of Femara & Follistim and IUI. I had tried a Femara only cycle with IUI and I felt like my body did the same thing it does without meds. So for my 2nd medicated cycle they added the follistim and I responded much better - I had 2 good follies intead of one and a much thicker lining than I ever had on my own. My first cycle I did a combo of Femara and Follistim. When I went for my u/s I wasn't responding so my RE had me switch over to Repronex. My RE still wasn't happy with my response and cancelled the cycle due to poor follicular development. I surprised everyone when I ended up pregnant despite such a poor response (but then miscarried). The next cycle, we decided that the Femara and Repronex combo worked better for me and I ended up with two mature follicles, pregnant, and unfortunately another miscarriage. We tried the same combination again and I had four mature follicles that resulted in triplets that I lost at 19w4d due to incompetent cervix. When I started trying again, I went to a new RE that didn't like to do combination cycles so I was using just plain Follistim. It looked like I was responding, but I have a feeling that the RE had me trigger too early and I ended up with a BFN. The second month of plain Follistim and a trigger resulted in a chemical pregnancy. I went back to my old RE at that point and tried a combination cycle of Femara and Follistim again. I was slow to respond and ended up with only one mature follicle, but that was all that it took to achieve my currently successful pregnancy! Good luck with everything and KUP on how things turn out. 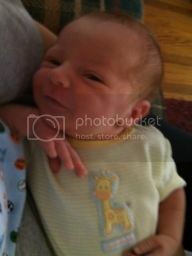 Our little miracle Mason arrived on February 22, 2012! Expecting TWINS June 2014 after just one round of treatments! I got my bfp on a Follistim + Repronex ivf protocal. I am now 4wks pg! We did Femara this time for 3 months and it didn't work. Went back to Follistim...this was our first month. We did follistim/novarel trigger and IUI and then novarel booster. I got my BFP this morning but have had bleeding/spotting so I don't know yet. Will know if it worked tomorrow. Gracie Alycia was born 6/18/2010! just an update: Had a chemical in March. took a month off... got a BFP yesterday and a beta of 1200 on Follistim, trigger, IUI and booster with progesterone suppositories. good luck! I used follistim with 2 of my 4 IUI cycles- I had BFN on all, but great response each time (unexplained). We moved on to IVF and used follistim, menopur and ovidrel trigger (and lupron first) and it worked- we transferred two embies (5 day transfer) and I had a singleton- now 5yo. I just did IVF again in NOv/Dec - first attempt this round- we went straight to IVF, skipped trying anything else since nothing worked in the past but IVF. I am now pregnant with twins (8.5weeks). We transferred 3 three day embies. I am 39, so did a slightly different protocol this time- 10 days BCP, no lupron. Follistim, menopur and ganarellix with ovidrel trigger. did the trick! I used follistim for 2 cycles. My bfp came on the 2nd, obviously. However, I also hyperstimulated my ovaries with the follistim. I did IVF with follistim and menopur and got 18 eggs (7 fertilized). I don't know if I responded well to the follistim or the menopur or the combo of both, but I seemed to get a good number of eggs from the treatment. Of the 7 eggs that fertilized, two were transferred back into me on day 4, and four were good enough to freeze. Now I'm 13 weeks pregnant with a singleton. Good luck to you!